Maria Bankemper, who has been a chair of the Crystal Classic for most of its existence, has set up a Go Fund Me page for people who would like to help Wigelsworth, Smith added. The Go Fund Me site reports that Wigelsworth remains “positive that he will become healthy again,” but he is concerned about his family. The webpage assures readers that they do not have to give money; they can show their support by sending Wigelsworth a message. “Every little bit will help him along the way through his journey,” the page adds. The webpage address is www.gofundme.com/helpBrianfight. Bankemper, who is the Chamber’s treasurer, is co-owner of the Best Western Plus-Siesta Key Gateway Hotel on South Tamiami Trail, just off Stickney Point Road. Sarasota County’s beach lifeguard operational hours have been extended on all guarded beaches from 10 a.m. to 6:45 p.m. Those hours will be in effect through Labor Day weekend, a news release says. Sarasota County’s guarded beaches are Lido Beach, Siesta Beach, Nokomis Beach, North Jetty Beach, Venice Beach and Manasota Beach, the release adds. For more information, call the county Contact Center at 861-5000 or visit www.scgov.net. The fate of two Siesta parcels on the list for potential purchase by the county’s Neighborhood Parkland Acquisition Program remains up in the air. When questions arose on March 29, Carolyn Brown, director of the county’s Parks, Recreation and Natural Resources Department, and County Attorney Stephen DeMarsh told the County Commission she was trying to schedule a discussion regarding a proposal from the owners of 162 and 168 Beach Road that the county purchase the vacant lots. Both parcels were the subjects of public hearings regarding Coastal Setback Variance petitions; each time, the petitions, which would have led to the construction of homes, were denied. Subsequently, talks ensued about the county’s buying the parcels to add them to its parkland inventory. In response to a question the last week of May about the status of the negotiations, county spokesman Drew Winchester said no update could be provided at that time. County commissioners, county staff and representatives of the firm that handled the work — Magnum Builders of Sarasota — gathered at Turtle Beach Park on the morning of May 31 for a ribbon-cutting ceremony to recognize the completion of renovations on the site earlier this year. Begun in 2016, the county project included a new parking lot with 35 extra spaces; a new playground; covered picnic areas; a kayak launch and kayak wash-down area; new sidewalks, paths and pedestrian crossings; and a stormwater conveyance system with a rain garden. Turtle Beach Park has been welcoming lots more visitors, thanks to its serving as one of the primary stops for the Siesta Key trolley. Although leaders on the Key have pointed to overwhelming support of the free Siesta Key Breeze, one group of business people has proven disgruntled. During a May 30 telephone interview, Mark Smith, chair of the Siesta Chamber, acknowledged that owners and employees of the free ride services on the Key have complained that the trolley has proven tough competition. Still, Smith said, he believes plenty of business is out there for those free ride companies. They are more of a “custom” transportation service, he pointed out. Whereas the trolley is “more for the masses,” Smith added, the free ride vehicles take people specifically from one point to another without the need to accommodate other passengers wanting to stop at a variety of places. Relics on the Key, selling vintage, antiques and mid-century items is offering a 40% off coupon. The 40% off coupon is located on page 44 of this edition of Siesta Sand. Relics on the Key is located in the Siesta Key Village at 5049 Ocean Blvd. The month of July is one of the busiest months for our beaches. With all the major events and summer visitors enjoying staycations and vacations, the beach will be a swarm of people. 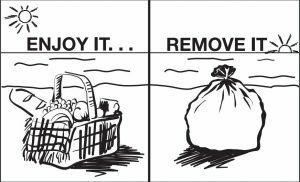 Siesta Sand encourages all to enjoy themselves, and to remember to pack up your trash before leaving the beach. 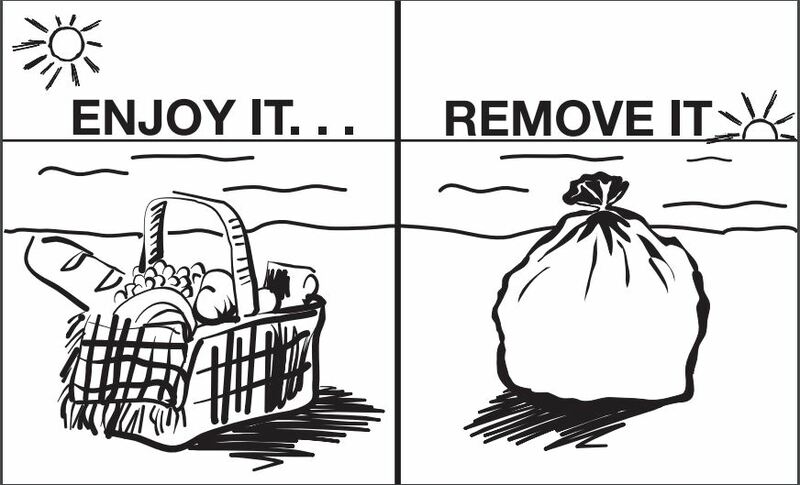 Bring an extra garbage bag; one for your trash and pass one out to another beachgoer. We have the best beach in the USA and #5 in the world so let’s take pride in keeping it No. 1. Still Waters Alternative Healthcare opened up shop at 5700 Midnight Pass Road. Owner, Mary White offers a unique approach to wellness. With over 25 years of experience in luxury spa, health destinations & hospitality and is the first, and only, to have been awarded the prestigious 5 star award as a practicing professional therapist. She’s developed a menu of services tailored to the needs of her clients. White believes and teaches that many chronic and acute aliments can be treated naturally with powerfully effective and lasting results. Check out her website for more info: www.siestakeyretreats.com, or call with any questions: 941 404 0881. Much buzz ensued last month when MTV unveiled an ad for its new reality series set on Siesta Key. Apparently, the news also generated calls and emails to the Siesta Key Association (SKA). On May 18, Catherine Luckner, Vice President emailed her fellow SKA board members to let them know she had spoken with Major Paul Richard of the Sheriff’s Office that day. “He is aware of news which characterizes [the MTV show] as unwelcome and wanted to give some factual background,” she wrote. The series’ executive producer had several meetings with Sheriff's Office staff prior to the start of the filming, she continued, and completed all the requirements for permits from the county. “They've already finished filming,” she wrote, noting that the last episode was shot at Owen’s Fish Camp, a downtown Sarasota restaurant. It focused on a date between two college students, who discussed their families and life at school, Luckner added. Richard told her that, at all times during the filming, “Sgt. Jason Mruczek was on speed dial” in the event any problems arose. Mruczek is the leader of the Sheriff’s Office Siesta Key substation. “The [executive producer] was extremely sensitive to any disruption of life here,” she pointed out. The first episode is set to air in July, she added. According to Adweek, the date for the premiere was set for July 19. People who stayed until the end of the May SKA meeting know that Siesta property owner and Realtor Michael Holderness offered to match a $1,000 contribution to the Siesta Key Environmental Defense Fund. As it turns out, Vice President Catherine Luckner announced during the June 1 SKA meeting, one person did accept that challenge. Luckner added that she had not gained the contributor’s approval to reveal her name. The donation “was awesome,” Luckner said. In fact, she noted, it ended up exceeding $1,000. “Thank you so much for what you’ve been doing,” Luckner told the audience, referring to all the contributions people have provided for the nonprofit’s fight of the proposal to dredge Big Sarasota Pass to renourish a 1.6-mile stretch of South Lido Key. The next step in the SKA’s fight is a Florida Department of Administrative Hearing procedure this summer: Aug. 22-25 and Aug. 28-31 in Sarasota. Save Our Siesta Sand 2 (SOSS2) and the Florida Wildlife Federation also will plead their cases in opposition to the dredging plan. Before coming to Florida, the release continues, Calleja worked in New York City as the executive chef and manager of three popular restaurants. “Chef Gino is a brilliant chef of superior quality and talent, and we are fortunate that he has joined our team,” said Brown in the release. “His culinary talent and experience, business sense, management skills, and dedication are going to help SKOB grow to the next level which includes increasing the diner’s choices of quality ingredients." Calleja is introducing new menus for brunch, lunch and dinner, along with new ingredients sourced from local and/or sustainable farms, the release adds. “Siesta Key Oyster Bar is a popular restaurant and I wanted to introduce creative menu items while retaining the most popular choices,” Calleja continued in the release. "SKOB has a solid number of loyal local fans who let me know which menu items were sacred,” he added with a laugh, the release noted. SKOB is located in the Siesta Key Village at 5238 Ocean Blvd. 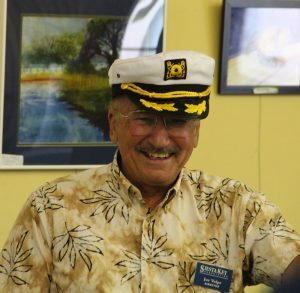 SKA President Harold Ashby talked during the June meeting about how “we, as board members, wear a lot of hats,” working as volunteers in service of residents and business owners on Siesta Key. When the SKA board held its last meeting, he continued, he mentioned that the nonprofit needed someone to oversee issues relating to waterways. Then, whenever pertinent questions arose, that person could undertake the necessary research or action. As a punctuation mark to those comments — so to speak — the board had a nautical cap ready for Volpe to don, complete with “scrambled eggs.” A round of applause ensued. When exactly is a parking situation illegal? That was the question Sgt. Jason Mruczek, leader of the Sheriff’s Office substation, made an effort to explain during the June 1 Siesta Key Association (SKA) meeting. A woman who lives in Siesta Estates — which is across Midnight Pass Road from St. Boniface Episcopal Church — raised the question after Mruczek opened the floor to questions. On Memorial Day, the woman told him, a number of vehicles parked on the grass in front of the wall that separates Siesta Estates homes from the road. Five people called the Sheriff’s Office, she said, but no deputies were dispatched to the scene. “We just spent a lot of money on our landscaping in front of the wall,” the woman added. When she spoke on the phone with someone at the Sheriff’s Office, the woman continued, the response she received was, “It’s private property,” so no deputy could respond to the situation. “I don’t understand why not one person from the sheriff’s department came out to try to help us resolve the problem,” the woman said. If someone is damaging private property, shouldn’t the Sheriff’s Office handle the situation, she asked. If someone has parked on county right of way, Mruczek replied, a deputy could write the person a ticket. Moreover, the woman pointed out, she and other Siesta Estates residents called about five towing companies, and all refused to come to the scene unless a deputy would be there. Towing company personnel indicated that they were worried about the harassment they would have to deal with from irate vehicle owners if a deputy were not present to ameliorate the situation, the woman said. “There’s damage now on all our brand new grass that we just paid a lot of money to fix,” she added. At one point, she continued, about 16 vehicles were parked on that grass. “We were on ATVs all day,” Mruczek replied, “and I didn’t hear one call” from dispatch regarding parking problems at Siesta Estates. “We can issue parking tickets to people that are illegally parked [on rights of way],” Mruczek explained, adding that he would look into the circumstances of the Siesta Estate calls on Memorial Day. He noted that deputies issued about 200 parking tickets over the Memorial Day weekend on Siesta Key. “There were a lot of areas to get to.” Mruczek asked the woman to pick up one of his business cards on the table at the back of the room and give him a call. Then SKA Secretary Joyce Kouba asked what she should do, for example, if a person she did not know pulled into her driveway and just left the vehicle there while the person went to the beach. “It’s private property,” Kouba said. “We have no right to tow someone off private property,” Mruczek explained, prompting murmurs among the approximately 60 people in the audience. What if someone stole a bicycle from her yard, Kouba asked. That would be theft, Mruczek replied. As for trespassing: Mruczek said the county ordinance necessitates signage forbidding trespassing and other criteria before a deputy can issue a citation. For example, he said, a Girl Scout can go up to a private residence and try to sell cookies, and that is not considered trespassing. Mruczek added that the Sheriff’s Office can have a vehicle towed if the vehicle is on public right of way.“ Then I can take a sledgehammer—” the Siesta Estates woman began. “That would be criminal mischief,” Mruczek told her. He indicated that if a disturbance ensued over a parking situation on private property, a deputy would be able to respond to that. “The law works in funny ways,” SKA President Harold Ashby said after Mruczek concluded the discussion. In a follow-up email exchange, Mruczek wrote that he found one call Dispatch had handled about the parking at Siesta Estates on May 30; however, he has had difficulty nailing down whether a deputy did end up going to the scene. On May 29, he continued, a deputy did respond to a complaint from Siesta Estates, but the deputy had to leave because of the outbreak of a fight at the public beach. The deputy was unable to return to that neighborhood until later that day, Mruczek wrote; by that time, only one car was left on the right of way, Mruczek added. That vehicle was ticketed. Mruczek also explained that he called the woman who brought up the issue at the SKA meeting and “let her know we will check [the right of way in front of Siesta Estates] July 4th weekend” and on July Fourth itself. Residents have been speculating on the type of business that will be occupying the site of the vacated BluQue Island Grill restaurant located on Avenida Messina, next to The Cottage in the Village. The existing building has been razed and construction on a new structure is currently underway. Co-owner, Mike Granthon has confirmed a high-end steak and seafood restaurant will be opening up once construction has been completed. This latest project is expected to be completed early spring 2018. For those lamenting the closing of long-time Village restaurant, Jo-To Japanese Restaurant, take heart. A sign posted on the window for the existing site of the closed Eat Here restaurant located on Avenida Madera, across the street from Solorzano’s Bros. Pizzeria, indicates that Star Thai & Sushi will be coming soon. Star Thai’s website shows two other locations; one on Beneva Rd., with the other located in Venice. The new location in the Village will be their third restaurant. 1. Florida Suncoast Tourism Promotions, Inc.